This week on Art Hounds we take a look at the "ultimate liberation philosophy" of Dr. Deep, what happens when you mix Chhau and Khatak Indian dance and learn about the rumors that inspired "The Best of Hank and Rita." The proprietor of Kala Vandanam Dance Company Suchi Sairam has followed the work of Zaraawar Mistry for years, and she is excited to see him take on satire in his new one-man play "Dr. Deep". The star of the play manages the complex personality of Dr. Deep — a man whose title is "life observer, spiritual investigator and the founder of the 'ultimate liberation philosophy.'" The nuanced persona of Dr. Deep led Sairam to believe that the character is based on everyone and no one at the same time. You can see Dr. Deep on Sunday, October 25 at 7:30 p.m. at Dreamland Arts in St. Paul. Donald LaCourse, artistic director of the Ethnic Dance Theatre in the Twin Cities, has high praise for Katha Dance Theatre's production of "Pourush: The Masculine." 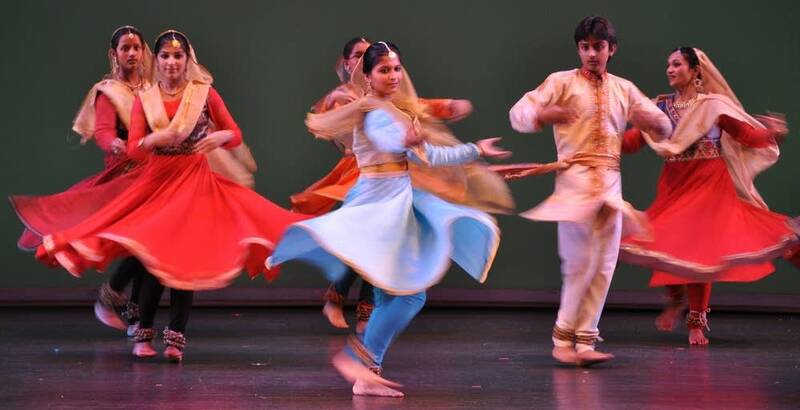 LaCourse credits artistic director Rita Mustaphi for bringing new life to traditional Khatak dance. "Pourush" combines traditional Chhau and Khatak dances to relay the story of a timeless fairy tale. A young, tough princess falls in love with a prince who wishes she was more feminine. Two dancers portray the same princess as she wrestles with her inner conflict. Performances will happen Friday and Saturday at the O'Shaughnessy at St. Catherine University in St. Paul. Artist, musician and music teacher Amanda Wirig recommends the barroom operetta "The Best of Hank and Rita." The genre, which Wirig describes as a cross between a musical and going to a bar to see a band, was an experience unlike she'd ever had before. There is a cloud of tension that looms over the audience as they watch a couple's relationship fall apart on stage. However, the playwright and lead actor Joe Tougas penned the play out of a joke between himself and the lead actress Ann Rosenquist Fee. The duo, also known as the Frye, often get mistaken for husband and wife. This show is their response to the common misconceptions from their audience. Performances will take place at Teatro Zuccone in Duluth on October 28 and the Grand Event Center in Northfield on October 29.